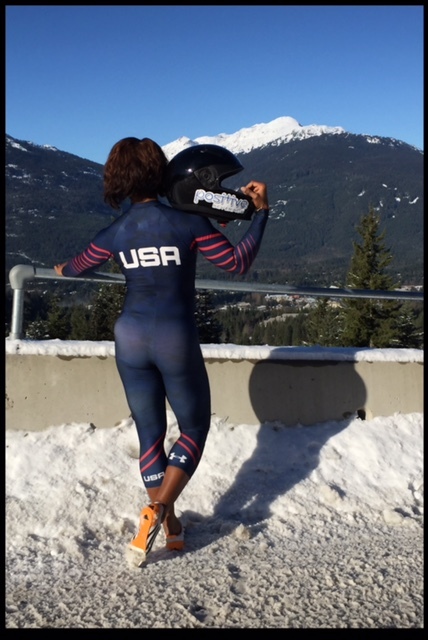 My name is Sable Otey and I am apart of the United States Bobsled Team! Many individuals that truly know me, know that I’ve always been an athlete. I take training very seriously and I work hard! Although I possess the talent and work ethic, I'd often struggle mentally. On a daily basis, I would mentally tear myself down. I didn’t believe in myself as much as others did and I was not trusting in God as I should have. I would literally get to a competition and start thinking, “What if I didn’t do this, or what if I didn’t do that”?! I took myself out of the competition before it even began. If you are not mentally focused/mentally sound, you are already defeated. I’ve now learned that, in order to have positive thoughts, I first needed to completely trust in God. I have to truly believe that God is control and he will help overcome any obstacle. I then had to surround myself with positive, like-minded, and uplifting individuals. I knew that if I was ever going to achieve something that I’d never achieved, I had to do something that I’ve never done. I’ve been listening to a motivational speaker by the name of Les Brown. He says that, “In order to do something that you’ve never done, you have to be someone that you’ve never been”! I am doing just that! I am going to verbalize my dreams and my goals. I am not going to let doubt or fear, be the determinate of my destination. I was just starting to train competitively for track and field again after having my son, Amar'e, who was two, but now three years of age. I found out from a really good friend and brother that there would be a Bobsled Combine in South Carolina. 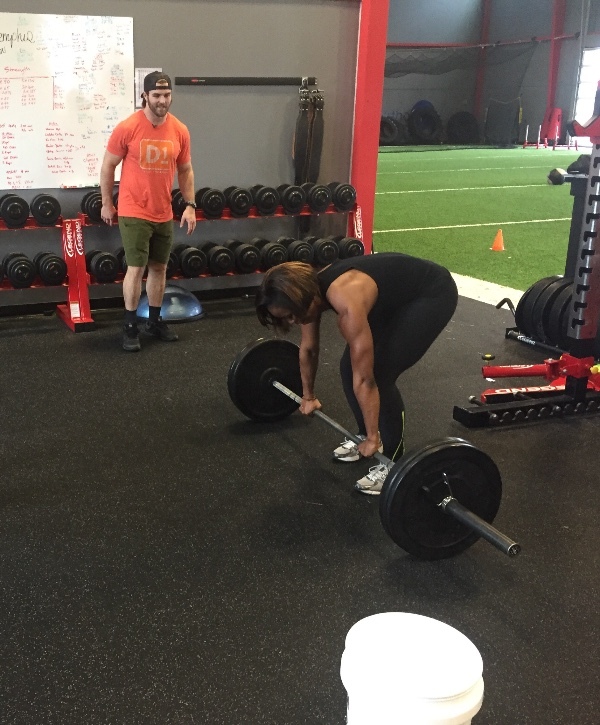 Approximately 2 weeks before the combine, I decided to stop training for track and work on the events that I would be performing in the combine. Although I didn't have much time to train for the combine, I had high hopes. Everyone believed that I could do this! They knew that I could make it through! All I had to do was believe that I could do it too! I participated in the bobsled combine on August 8, 2015 in Greenville, South Carolina. I received the second highest score, men and women combined. The events that were performed were: 15, 30, and 45 meter sprint; Flying 30 meter sprint; 12 pound shot put toss; Standing long jump. I didn’t perform as well as I’d like to, but I finally took the time out to tell myself, “You did it. You did a great Job”. From this day, the real journey began! I've been invited back to the Olympic training center on three different occasions: Rookie Push Camp, Push Championships, and National Team Trials! As of now, I will be racing on the North America's Cup in Calgary, Canada and Whistler, Canada! Making this team is very important to me as an athlete, wife, mother, teacher, and mentor. I want to be one of my son's biggest hero's and I want to continue to encourage moms! Having a kid is always a blessing. I use my family and my students as motivation. Never let your current situations, determine your future. If you want it bad enough and you work hard enough..You can and you will....Be great! Thank you for taking the time to read my story and thank you all for supporting me and my journey!! Just wanted to check in with you! Thanks so much for your continual support! I would not be here without you! These past 3 years have been a struggle. We almost lost our home, my husband was hit by a truck, my son’s leg was broken, lights were cut off at least 3 times... just to name a few. All because I wanted to do the Crazy sport called Bobsled! I’m no longer embarrassed to talk about. I know that there is a purpose for my journey. 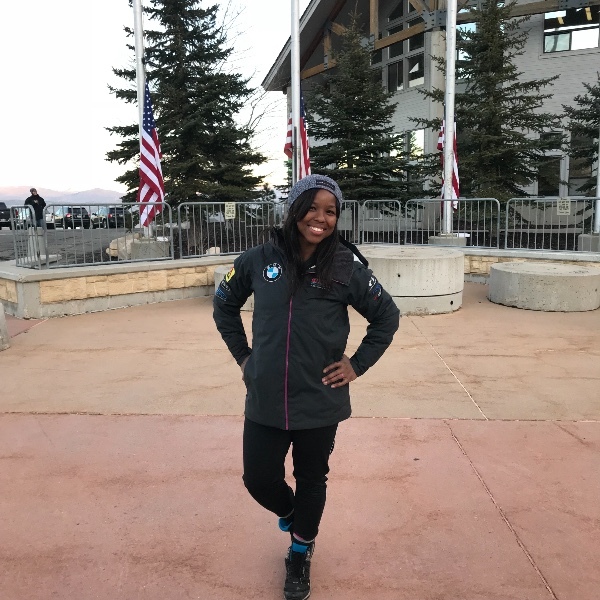 How does a girl grow up in Binghampton and be the first African American Mom to Bobsled for the US? It’s simple. It was all God. God placed this opportunity into my life for a reason. No I wasn’t the Kolby Bryant or the Micheal Jordon of this sport. (Those are two of my most favorite players by the way). I’ve wanted to give up so many times, but I kept receiving messages from people that was encouraged by what Id been doing, even though I wasn’t the greatest at it. Stories have even been twisted to make me appear as something that I’m not, and although I’d like to be that person, all I can be is who God made me to be. I carried that weight on my shoulder for so long.... not being good enough—for myself and others... letting those people that look up to me down... But you know what? I’ve finally found my purpose in this journey... and once I found that, I started to have some peace. You see, God does everything for a reason, and all things work together for my good. In his timing, I will get the desires of my heart if I follow his word. I don’t know who will read this, but I want you to know, that even when you don’t “achieve” things that you “think” you should have, those things could have been apart of “your” plan... not God’s. You have to let him lead you. You have to listen, you have to pray. I’m not perfect, but I know that Gods got me covered, and I know that as long as he’s on my side, I’ll never lose. I pray that no matter what, I can continue to inspire, encourage someone else just as my teachers and coaches encouraged me...Be a mom to someone else, just like my God dad was an absolute true dad to me. Thanks again for everything. I love you guys. 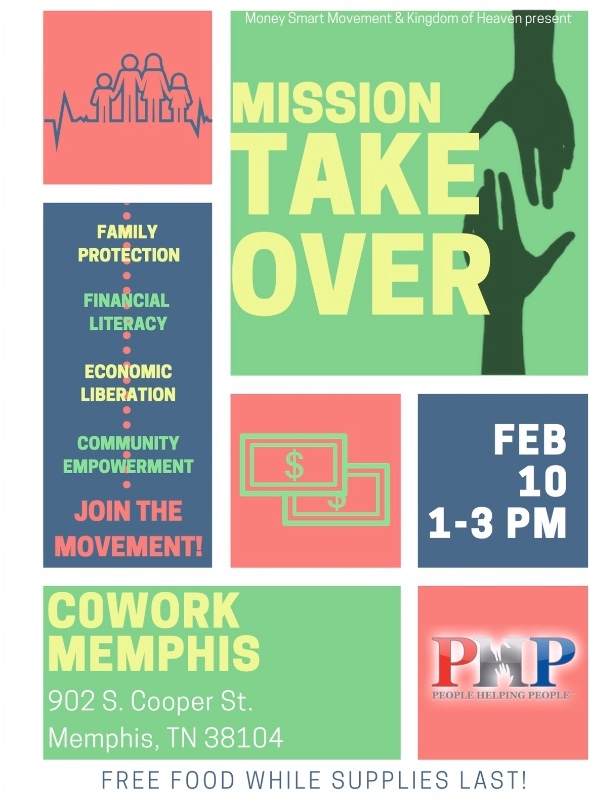 Come out and support Mission Take Over Today!! Let’s go!! This journey has definitely not been easy! I have been battling with having to lose weight. 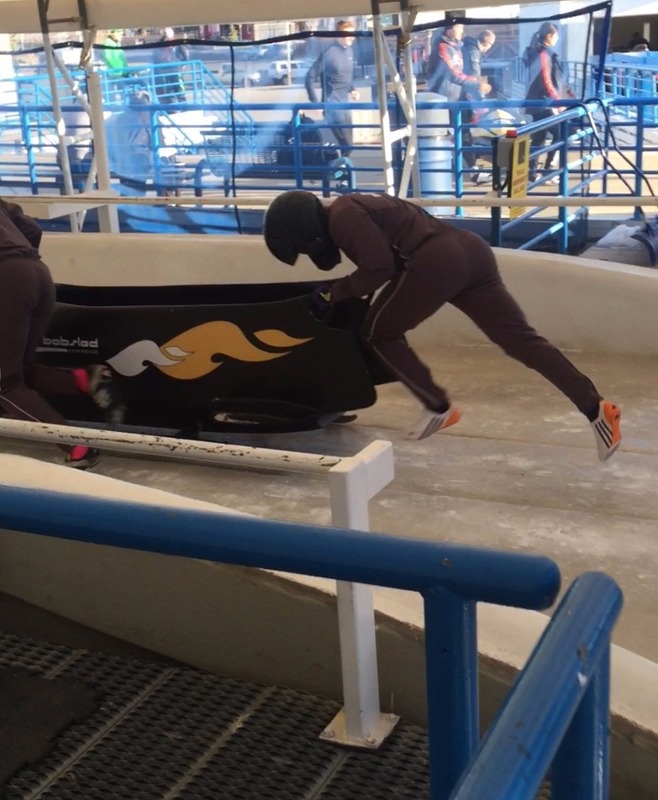 Fort hose that are not aware of how bobsled works, the pilot, brakeman, and the sled has to weigh a total of 325 Kilograms. If we are over in weight, we get disqualified! :( So I've been working on trying to find a "safe" way to lose weight with such little time. I want to make sure that the time that I will be spending away from my family is worth it. I want to make sure that all of my hard work doesn't go to waste. So cardio it is for me! Everyday!! My name is Hope Clayburn and I'm a Memphis based musician/sax player and a trauma nurse at Regional One Hospital (aka The Med) and I saw your story on WMCTV after the Super Bowl and was so moved that I had to send a little donation to your GoFund Me! You are just what we need in this city and I'm very inspired by your dedication to both this country and city and hope our paths cross one day perhaps at one of my shows if you ever go out and about. I would like to submit one of my uplifting energetic tunes to you to use to help you hype up and feel the support you have from Memphis. So, let me know if this is of interest to you because music and sports are a few of things this city excels at. Way to go and good luck!!! USA 901 USA 901!!! Shared ! Good luck young lady !! Go Gold !! Saw you on Local News Channel 3 in Memphis. Brought tears to my eyes, what an inspiration. Go for the gold!!! Who doesn't make the team and then pys her own way to help support the team ? A remarkable story. Go Sable. This is my first to know you are in this. 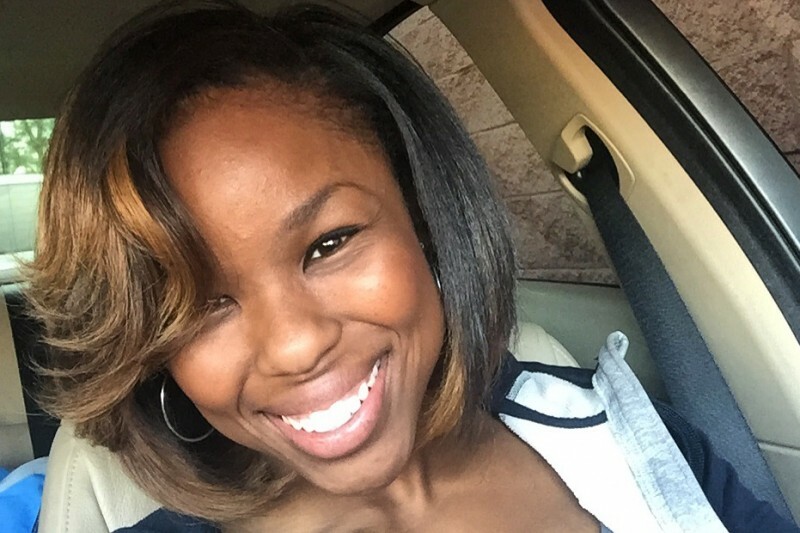 It is wonderful first African American woman in bobsled. I hope the best for you and your team mates. The locals companies should have been the first to step up. FedEx, Autzone, Ewing Moving & Storage just a few that should be supporting your efforts. Such an honor.